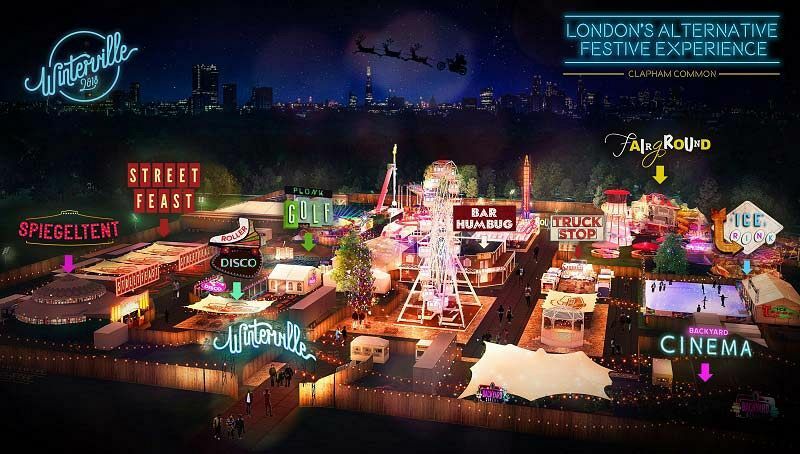 Welcome to London’s most eccentric Christmas village – Winterville! 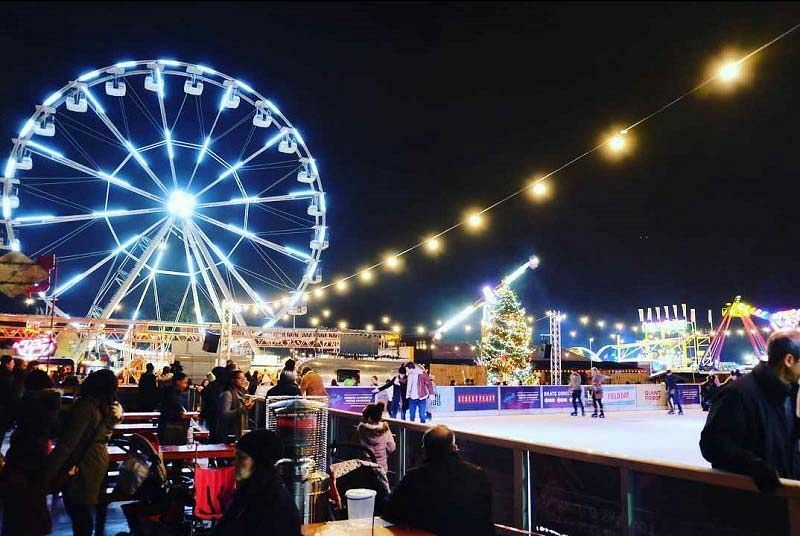 Situated on Clapham Common, this magical land features everything you need to get into the spirit of the festive season! From spectacular activities and attractions that are big and small, to the amazing array of independent food traders, there’s something here for everyone. Winterville is a Christmas pop up opening on the 15th November and closing on the 23rd December. This December, you and your team could be enjoying your very own exclusive tent area with bar area at this spectacular event. Whether you’re a private group of 50 or a larger group of up to 4000 guests, you can rely on this fantastic event to provide an unforgettable setting for your Christmas celebrations. Also included in this top party package will be a sparkling wine, mulled wine or cocktail drinks reception on arrival, street food tokens for each guest, enabling them to enjoy the equivalent of one main and one side from a range of sensational cuisines from across the globe. Guests will also enjoy a bar tab which will allow each person to enjoy up to six drinks. Guests will be able to choose from a selection of beers, wine, mulled wine, boozy hot chocolate, single spirit and mixers and soft drinks. Drink vouchers are also available on request. There’s plenty of watering holes available at this great event, such as the American whiskey bar, a wine bar, a craft brew camp, a cosy Christmas lodge and plenty more! We recommend bringing in the festive spirit with a round of frozen pumpkin spiced rum, or why not warm up with a warm buttered Bourbon? 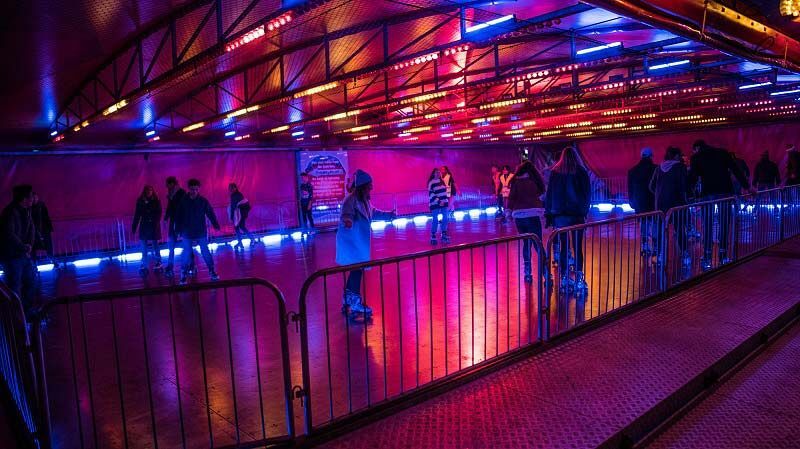 If you’d like to treat your guests to some extras for the night, then you can choose from the following items for an additional cost; ice rink tokens for a 45-minute skating session, plonk golf tokens, roller disco tokens and wristbands to enjoy unlimited fairground rides across all adult rides for the ultimate Christmas party experience. Various other add on's include DJ, live bands and other entertainment acts. All staffing, hosts and security in addition administration and event planning will be included as part of your exclusive package. Brew Camp - Our cosy heated beer tent, offering local craft beer and MULLED wine. The perfect choice for groups of 150-300 people. Available for private hire Tuesday to Thursday. Spiegeltent - Winterville’s entertainment hot-spot, with LIVE music, performances and entertainment acts. With a big dance floor, seated booths and a colourful interior, this is the perfect option for groups of 50-450 people. Available for private hire Tuesday to Friday. Private Event Tent - Hire your very own tent, where you will have access to your own private bar. This is the perfect base for your event, as you will also have access to all of the food, entertainment and activities that Winterville has to offer. Ideal for groups of 50-150 people. Available for private hire Tuesday to Thursday. 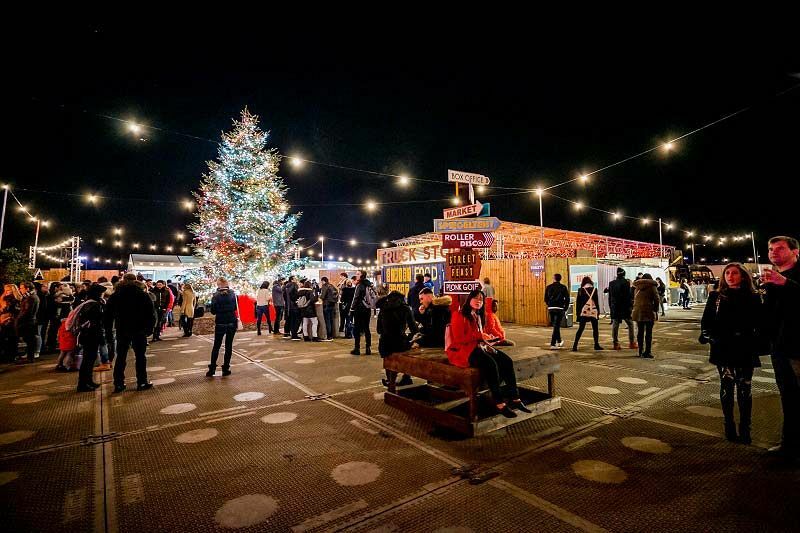 Venue Exclusive - For a Christmas party like no other, take over one whole side of Winterville, with your own private food traders, activities, toilets and entrance from 450 to more than 4,000 people. Available Tuesday and Wednesday. Make your exclusive Christmas celebration one that’s simply unforgettable with an incredible night at Winterville – send an enquiry through today!